A few weeks ago I attended a fun event at Saks Fifth Avenue in Chevy Chase Maryland with two blogger babes, Marisol and Sam. We got to meet the designer Babi Ahluwalia from Sachin & Babi, and preview her exclusive "Inaugural Collection". We also got to interview her one on one and got to know her over sweet treats and bubbly. Sachin & Babi offers an advanced contemporary collection and they were introduced in 2009. Babi was born in India and moved to New York to study fashion design. She met Sachin while studying in New York's Fashion Institute of Technology. They graduated together, soon after married and launched a fashion line. Talk about a dream team! She was super sweet and super inspirational, thank you Babi! The collection had amazing dresses. They had me thinking what to wear for New Years Eve! The details and the embroidery were beautiful and right up my alley. They had a couple of models walking around the store with some of the collection on. I thought that was pretty cool because you really got to see the dresses come to life. The Goldie black dress with the ruffled hem and scoop neckline was my absolute favorite! 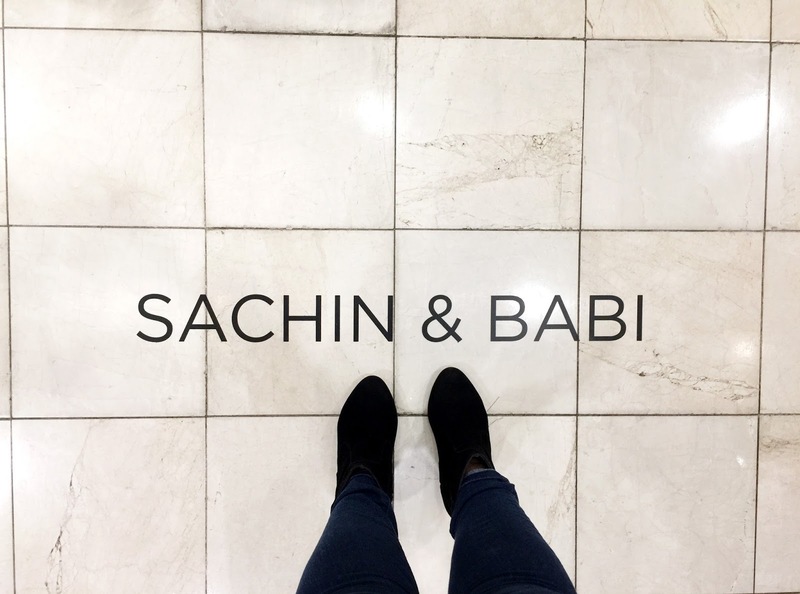 For a look at the collection and more of Sachin & Babi, check them out here and let me know which ones your favorite! Check out more pics from the event. Thank you Saks for having us and to Babi and her team for such a fun event!